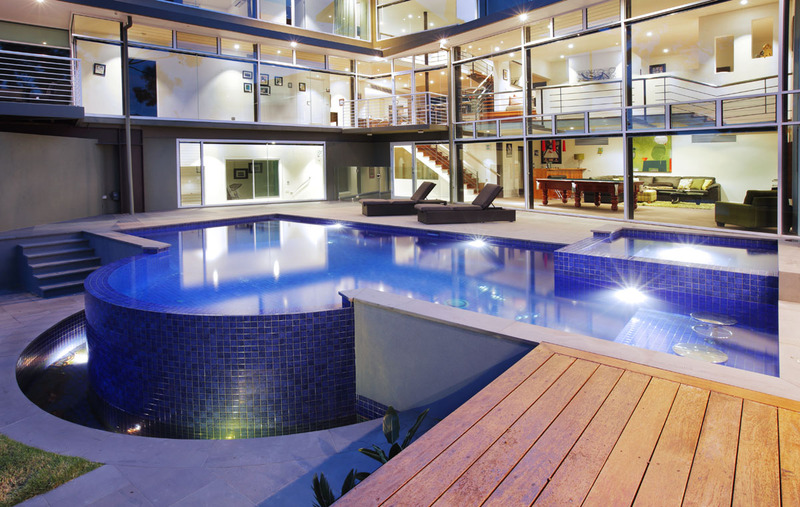 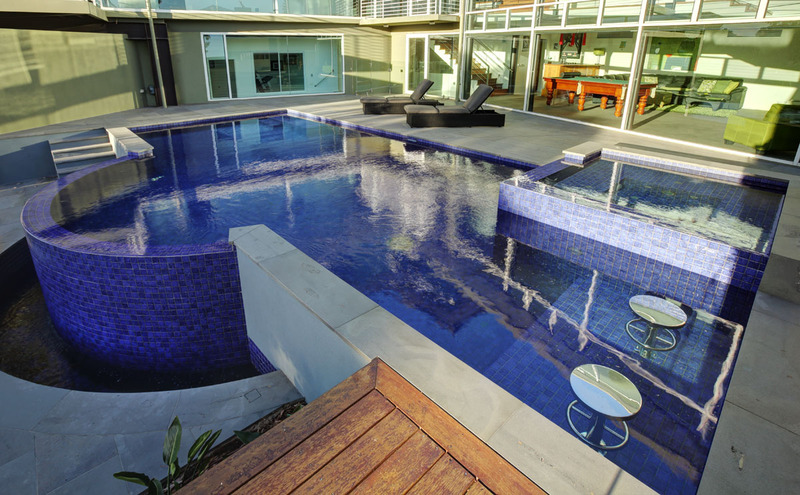 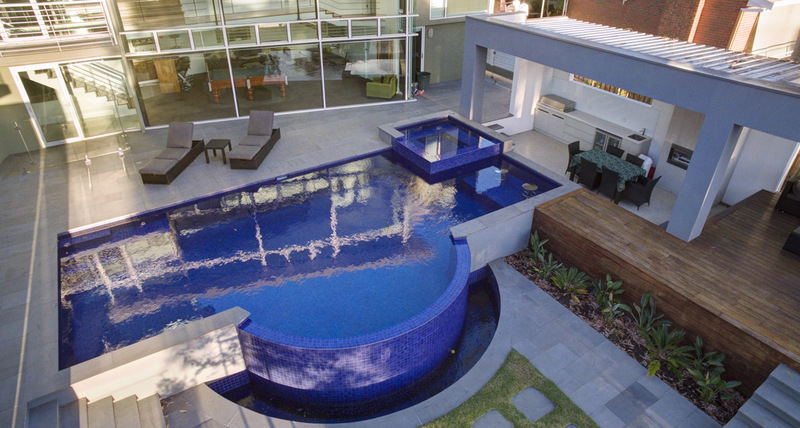 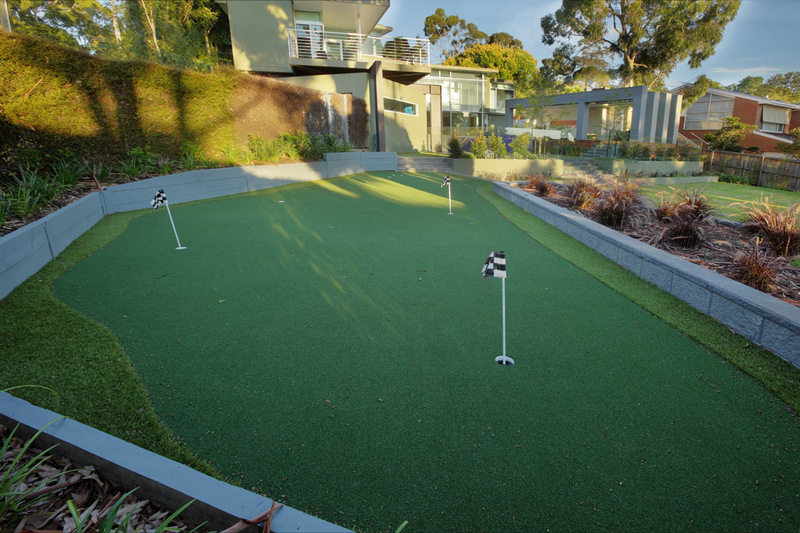 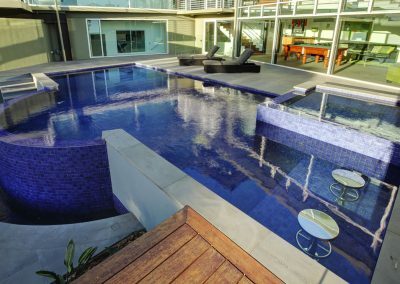 The owners of this amazing home wanted a pool with everything and that’s what we delivered. 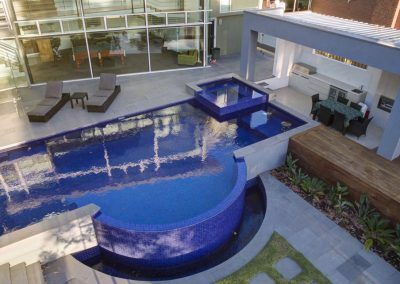 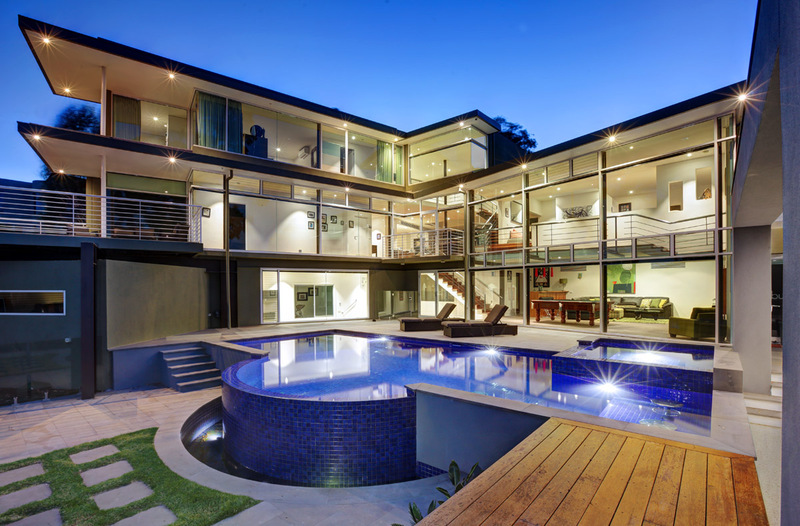 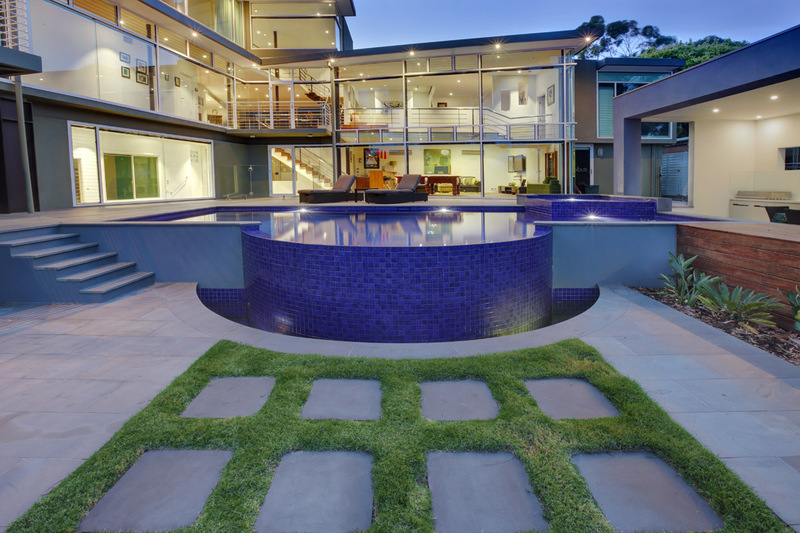 Set on a sloping block this elevated pool and spa have a commanding presence. 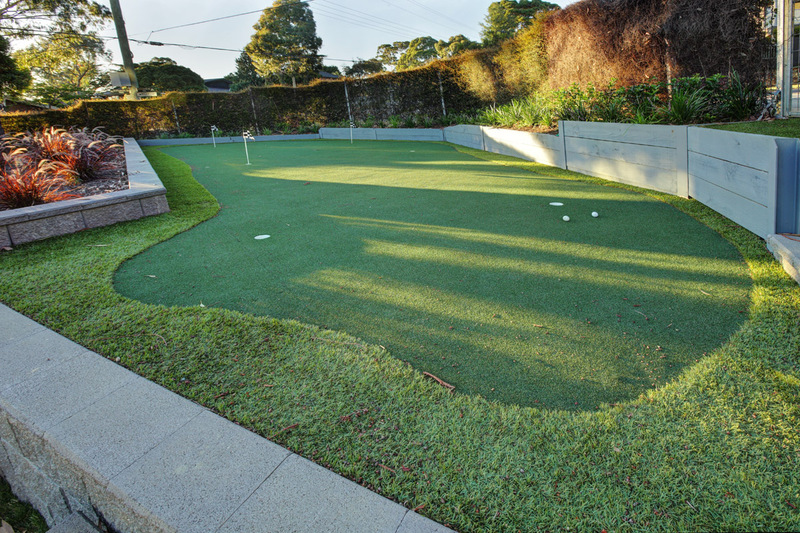 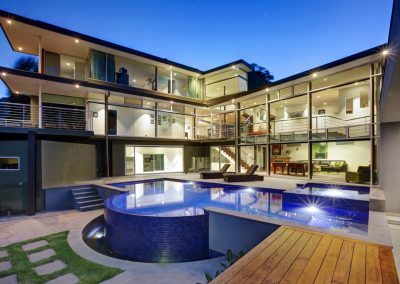 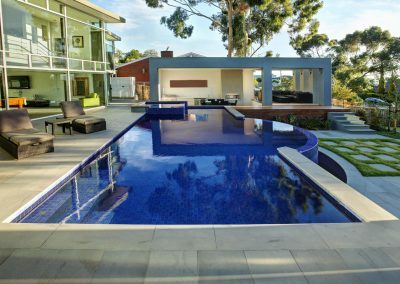 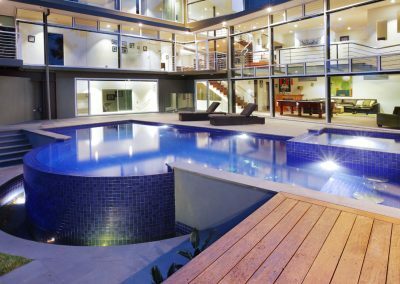 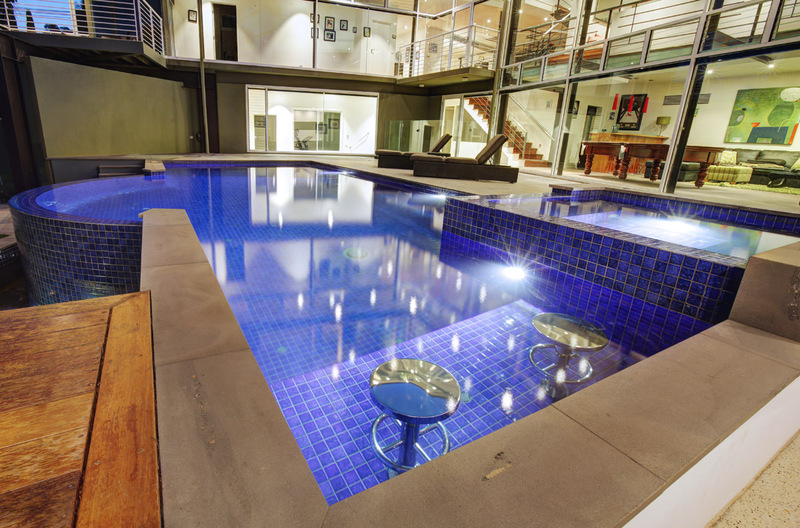 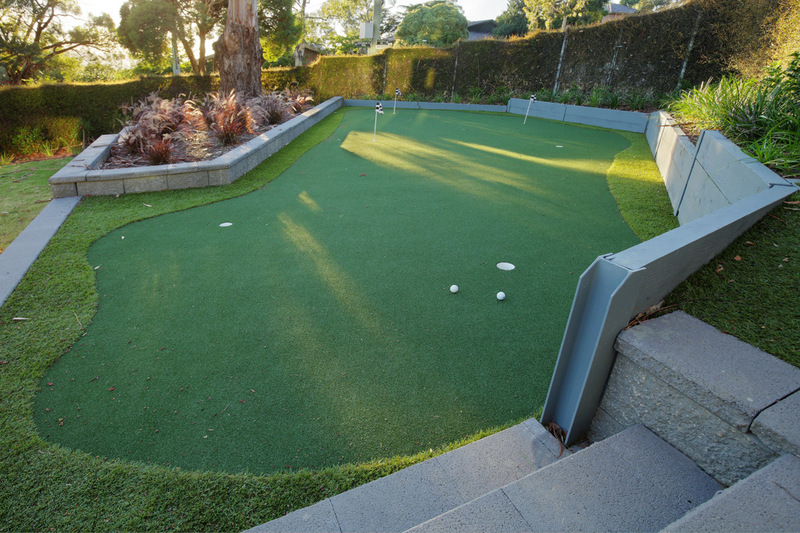 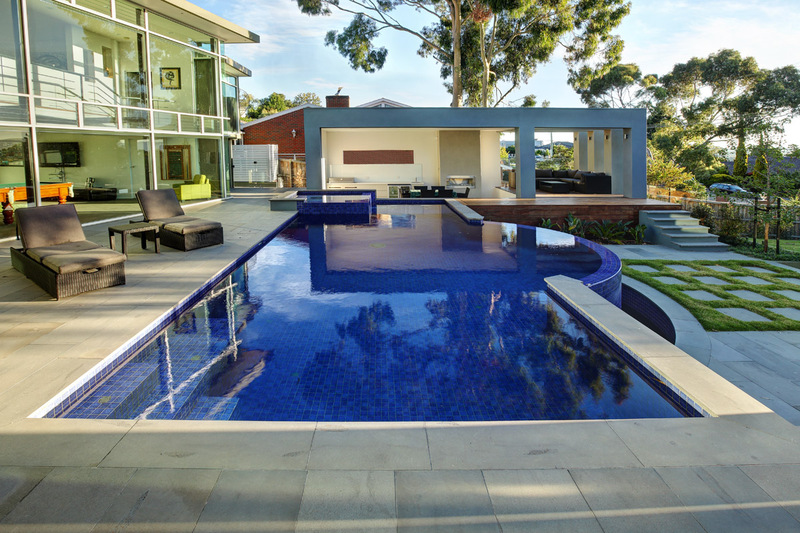 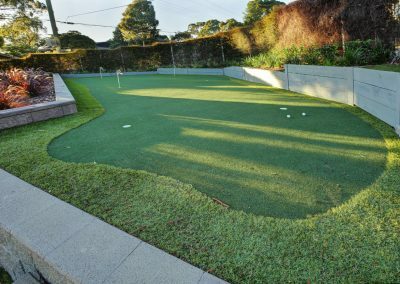 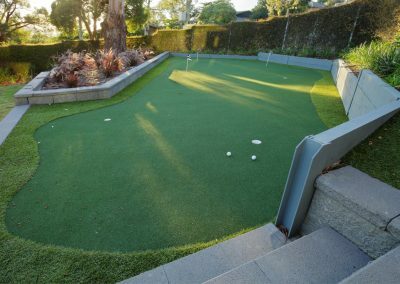 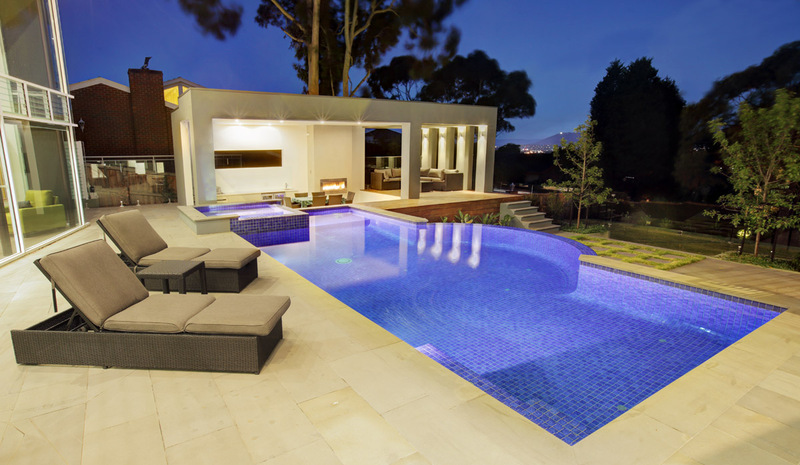 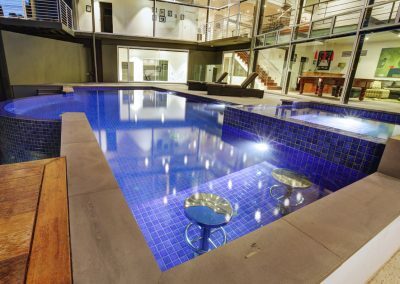 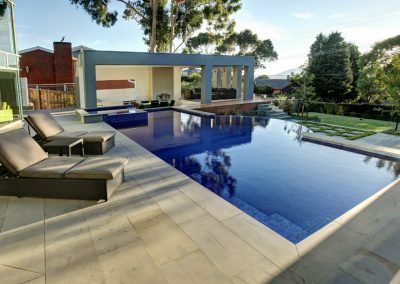 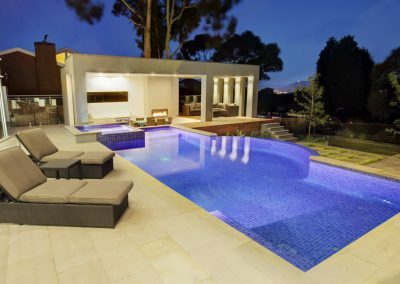 With a divine backdrop overlooking the Dandenong Ranges this generous sized pool features an infinity edge, the perfect standpoint to admire the view. 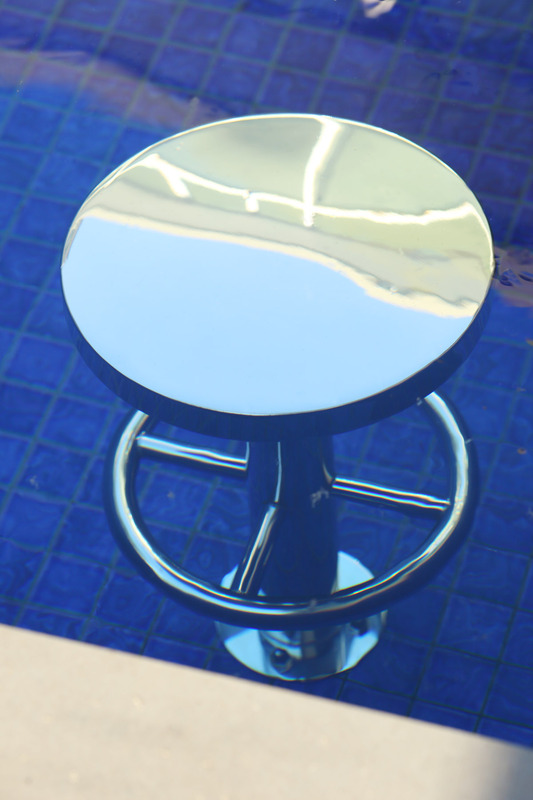 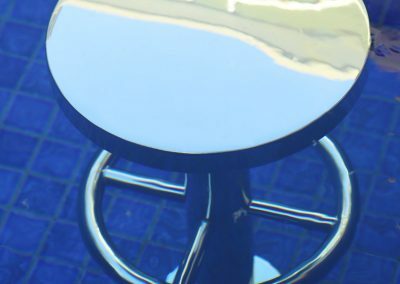 Accompanied with everyone’s dream ‘swim-up bar’ the pool is complete with underwater stools allowing for comfortable relaxation to enjoy a refreshing beverage. 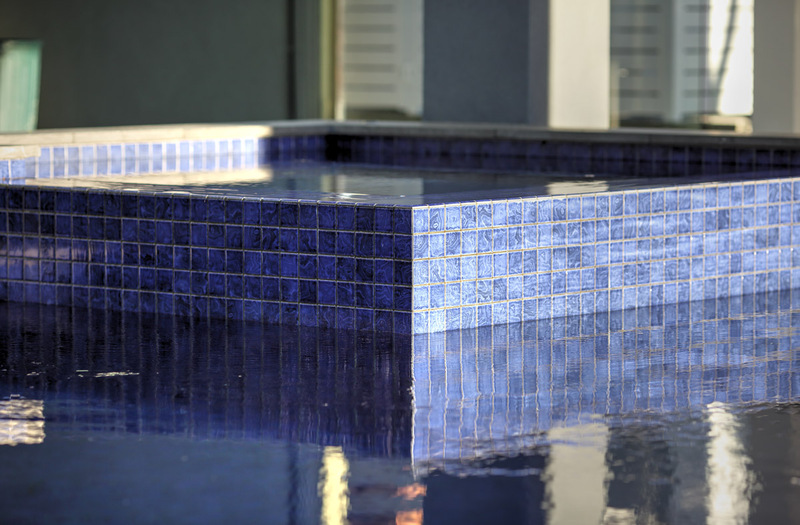 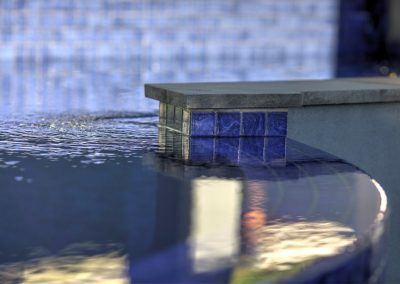 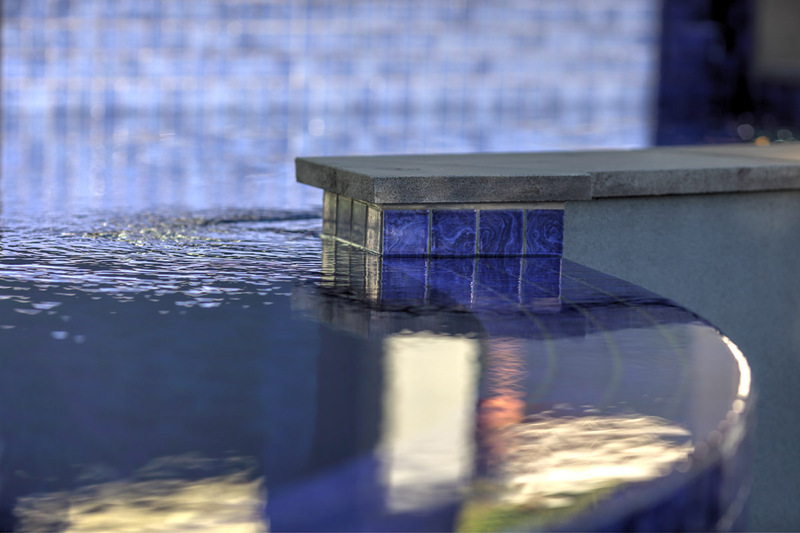 The stunning spa compliments the pool doubling as a water feature with the overflow cascading into the main pool. 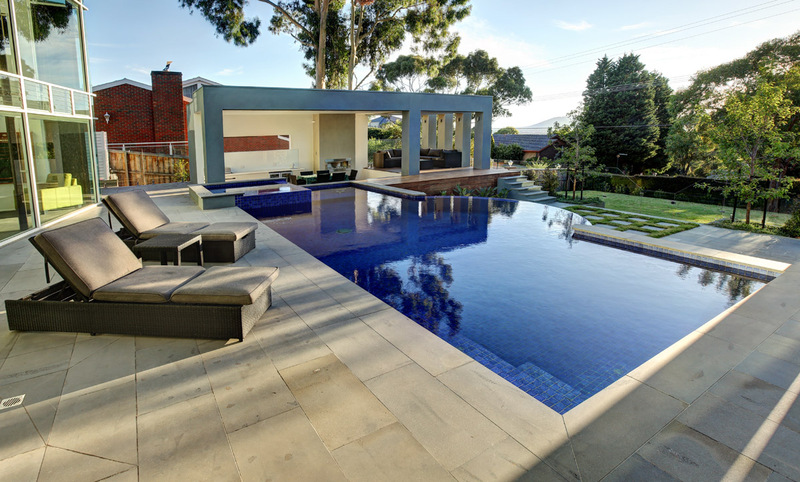 A beautiful outdoor space to be enjoyed for many years to come.